The Good: The diskAshur Pro has an unassuming design (which is good in this case), good layers of security and is easy to use. 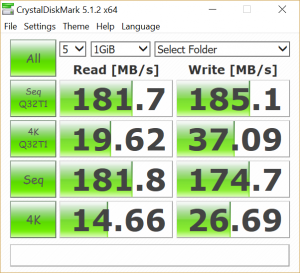 The Bad: It will cost you significantly more than a standard USB 3.0 hard drive, but that’s the price for extra security. 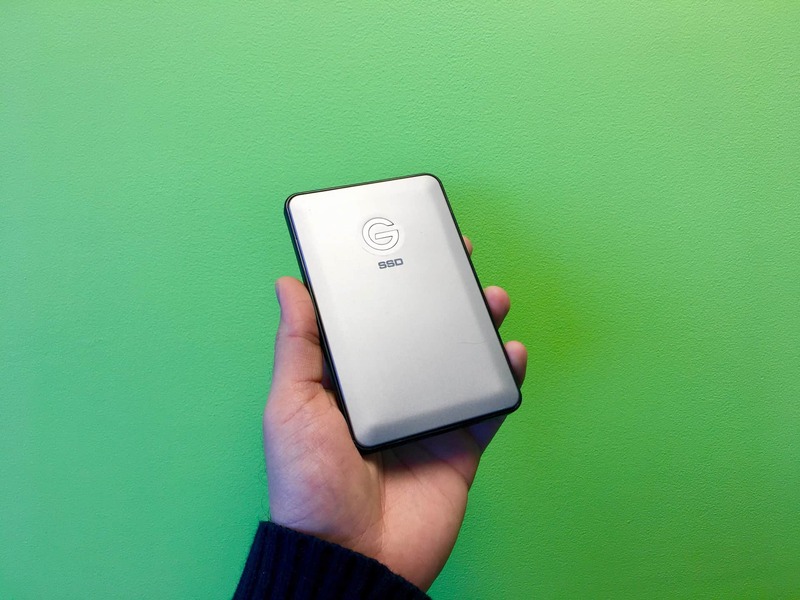 The Bottom Line: If the Cloud or a personal hard drive doesn’t cut it, budget isn’t an issue and you want to add a secure layer of protection to your data, the iStorage diskAshur Pro is worth considering. While you might be comfortable storing family photos and casual documents on your computer (or even on the Cloud), some types of files are so sensitive that they need extra layers of protection. The diskAshur Pro by iStorage is a portable USB 3.0 hard drive that can pack anywhere between 500GB (starting at £209) and 1TB (£269) all the way up to 2TB of data — all securely protected and encrypted with a PIN of your choice. 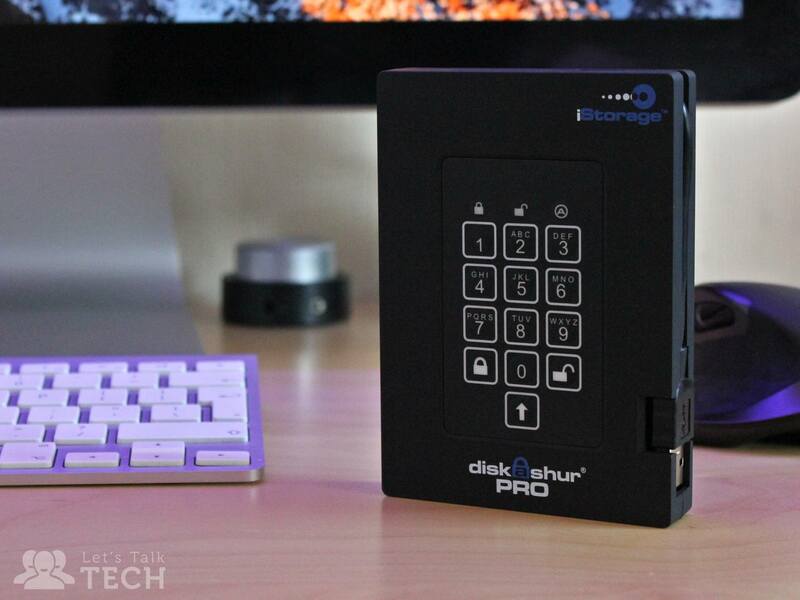 iStorage’s diskAshur Pro drive has a very simplistic design with very little to flash, but that’s not why you’re buying it. 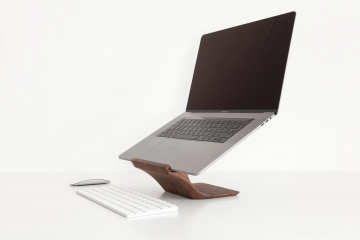 The main selling point here is security, not style. 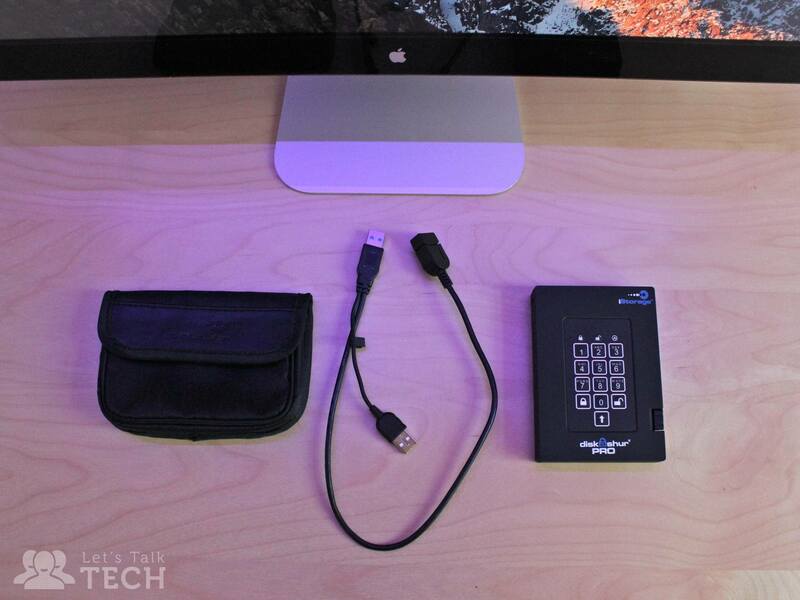 iStorage throw in a carrying pouch and useful USB extension cable too. Covered in an all-black soft touch plastic, you’ll notice that the diskAshur Pro drive is definitely swaying towards a more utilitarian design with its embedded USB cable (which can be conveniently tucked away into the unit), four rubber feet at the base and of course a PIN pad on top. Leaving aside its heavy-duty and simplistic look, the iStorage diskAshur Pro is surprisingly lightweight. You definitely won’t have any issues carrying this around with you in the pouch iStorage provide, and although I haven’t performed any drop tests yet, this thing seems strong enough to take a whack or two. The setup phase was quite short and pleasant. Once you plug in the drive you just have to hold down the ‘Unlock’ and ‘9’ buttons together, enter your new PIN (which has to be between 7-14 numbers long) and then re-enter it. 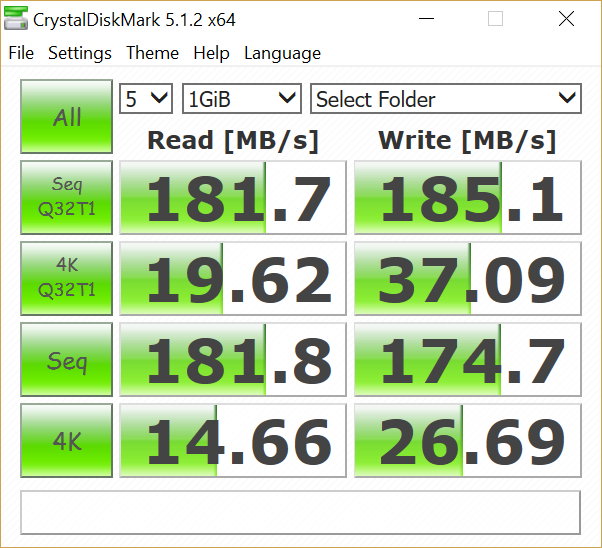 In under 2 minutes you’ll be ready to use it with Windows, although you’ll need to format the drive if you’re on a Mac but even that’s pretty quick. iStorage provides a document inside the hard drive with information on how to do that if you’re not sure how to. 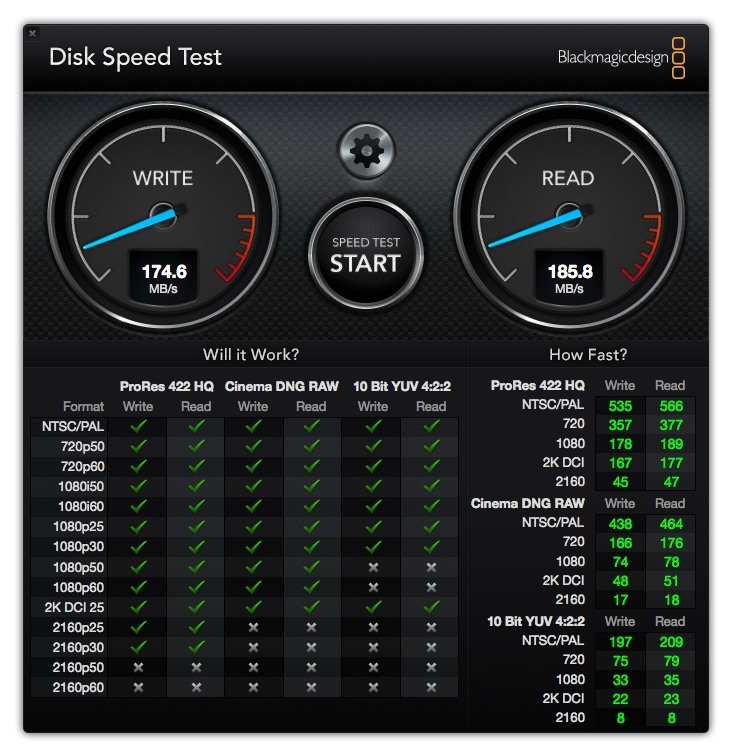 This was fairly consistent on my Mac Mini where the diskAshur Pro drive hit write speeds of 175 MB/s and read speeds of 186 MB/s, so all in all the diskAshur Pro is a good performer. The diskAshur Pro features military grade 256-bit encryption and FIPS 140-2 Level 2 certification — meaning it has passed strict testing for encryption algorithms and data security. FIPS is used as a benchmark for the US government making it suitable for government contract work (but not military), and according to PC Advisor the components inside are perfectly capable of blocking casual intruders. The idea is, assuming you’ll be using the diskAshur Pro for storing personal or important work documents — not classified government information etc. — the drive provides more than enough security for your data. Its “Brute Force Hack Defence Mechanism” takes a 3-step approach by first requiring a PIN. If it detects several incorrect PIN entries the drive will lock itself — requiring you to plug in the drive once again to re-enter your PIN (the idea is to prevent automated entries.) And lastly, after a predetermined amount of incorrect entries the diskAshur Pro will lock itself under the assumption that it’s being attacked; ultimately rendering all its data useless and needing a complete reset. Then there’s a self-destruct PIN which seems like something out of a movie, but effectively means you can wipe the drive entirely. Useful if you’re being chased by some undercover government agents who want the embarrassing photos from your last birthday party. 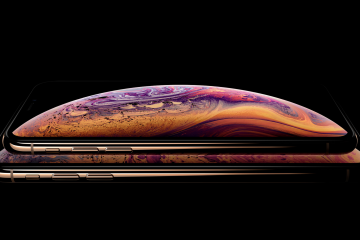 And if you’re worried about physical attacks on the device, iStorage have used a tough epoxy compound to protect the encryption chip and circuitry of the drive — making it impossible to remove with causing permanent damage. 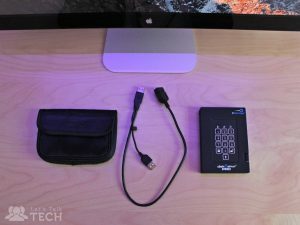 If you regularly carry around a hard drive with sensitive information and you’d like a little more security, the iStorage diskAshur Pro is a good option for you. It costs way more than your average USB 3.0 drive, but taking into account its range of protective features, the tough yet unassuming design (with a clever embedded USB cable) and portable dimensions, you’re paying for the peace of mind that your data is safe. BUY ON AMAZON U.K. BUY ON AMAZON U.S.